Here’s a look at some notable storms that took place in 2014 from our Radar archive. These storms formed on an old outflow boundary and contained quite a strong core. Here’s some storms that formed on the 12th of April in the north east. 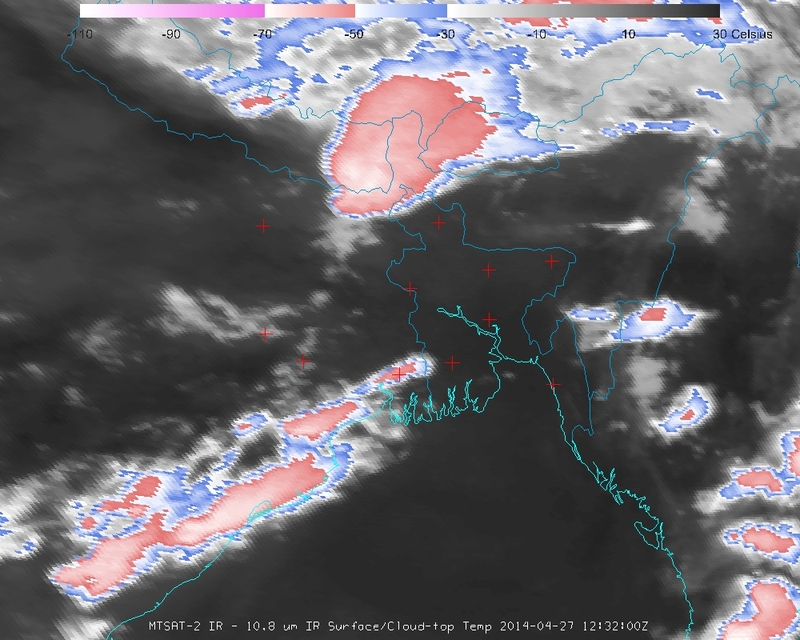 A series of late night storms moved through the north central and north eastern parts of Bangladesh. 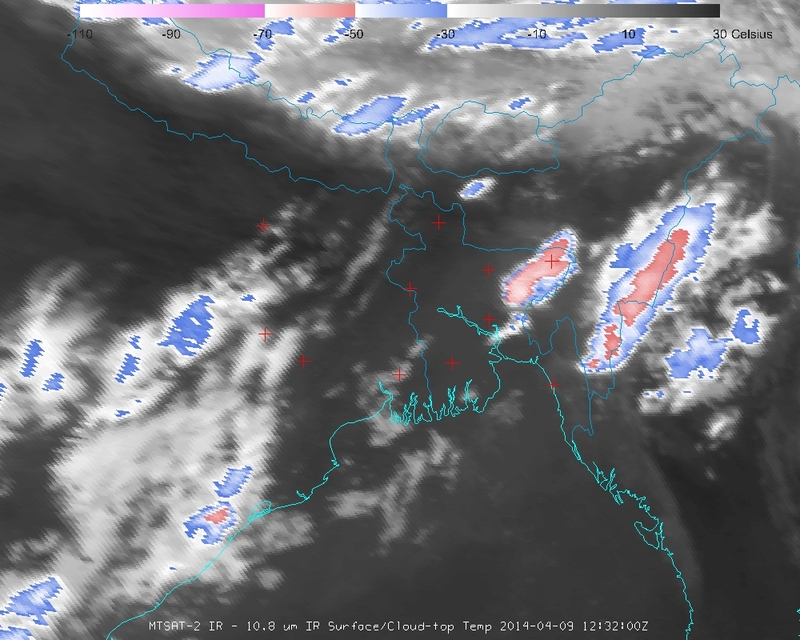 April 9th represented the most successful chase of the mission with a supercell intercepted near Bhairab Bazar. On this day the Bangladesh Weather Expedition intercepted a supercell near Brahmanbaria. These storms were later photographed in Comilla, Bangladesh. 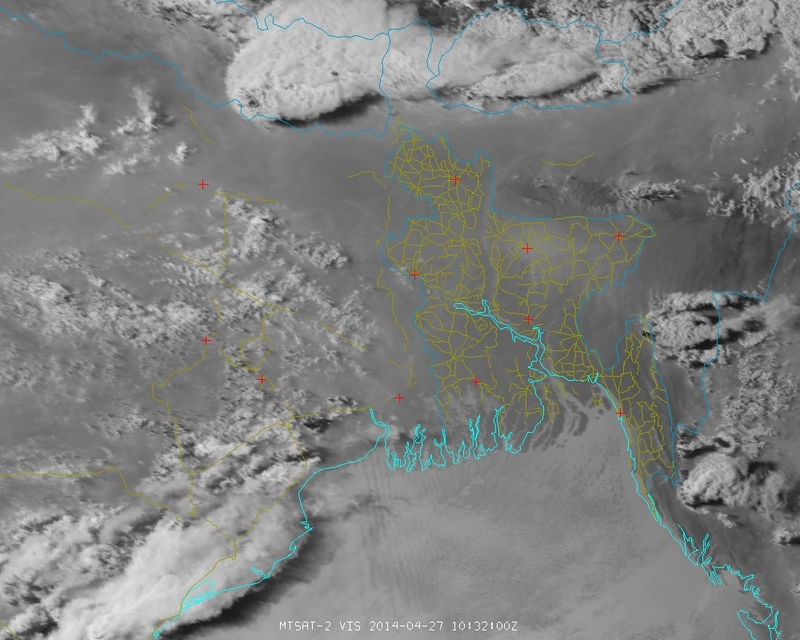 The storms northeast of Dhaka resulted in a severe wind event documented here. A notable event took place with a severe storm moving from Nepal and impacting the area late into the night with a bow echo. 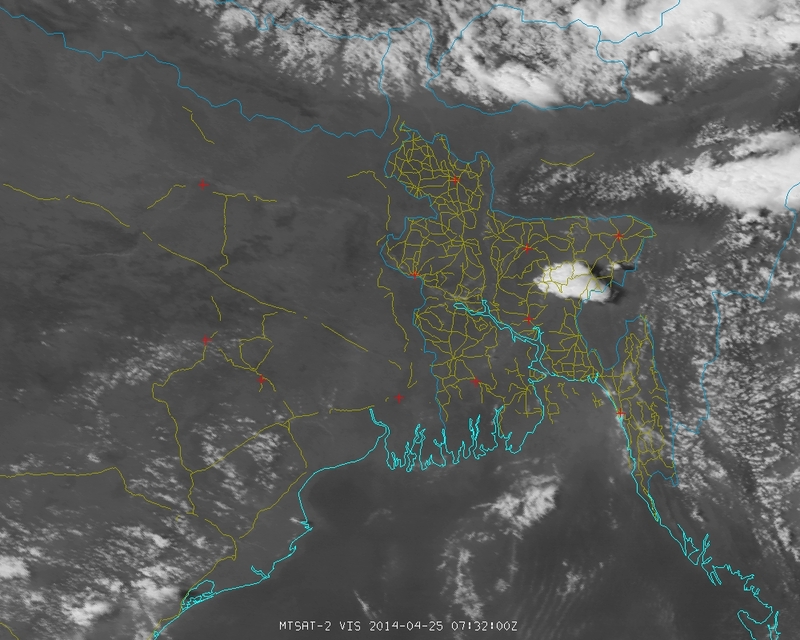 A severe storm occurred north of Dhaka on May 1st. Another light night line segment came into Bangladesh on the late evening of May 1st (early morning May 2nd). 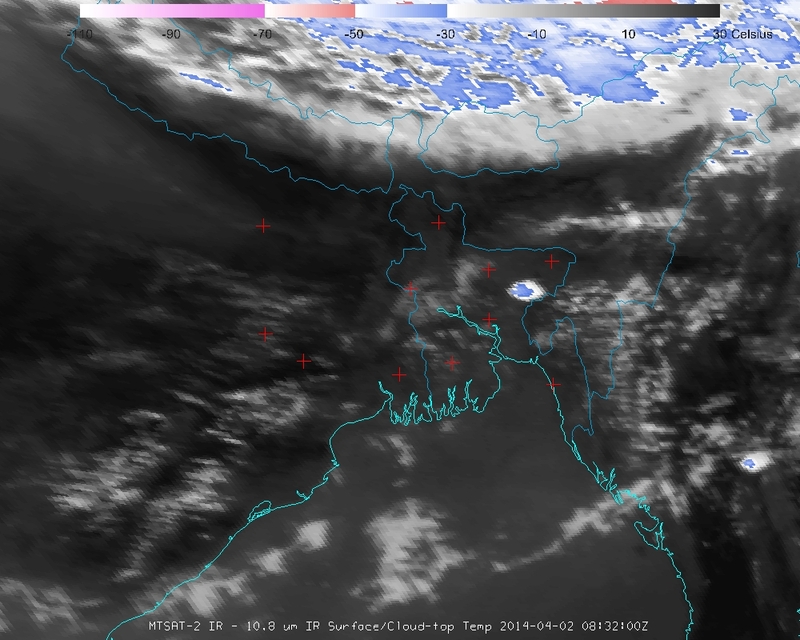 A severe storm was located near Sylhet on May 8th. Perhaps the most impressive event took place on the late evening of the 7th, early morning of the 8th where a series of supercells with noticeable rotation raked through an area near Agartala and Sreemangal. The 2014 satellite and radar archive is available to researchers on request (as well as the 2015 archive). Feel free to drop us a line on our Facebook page if you have any questions.